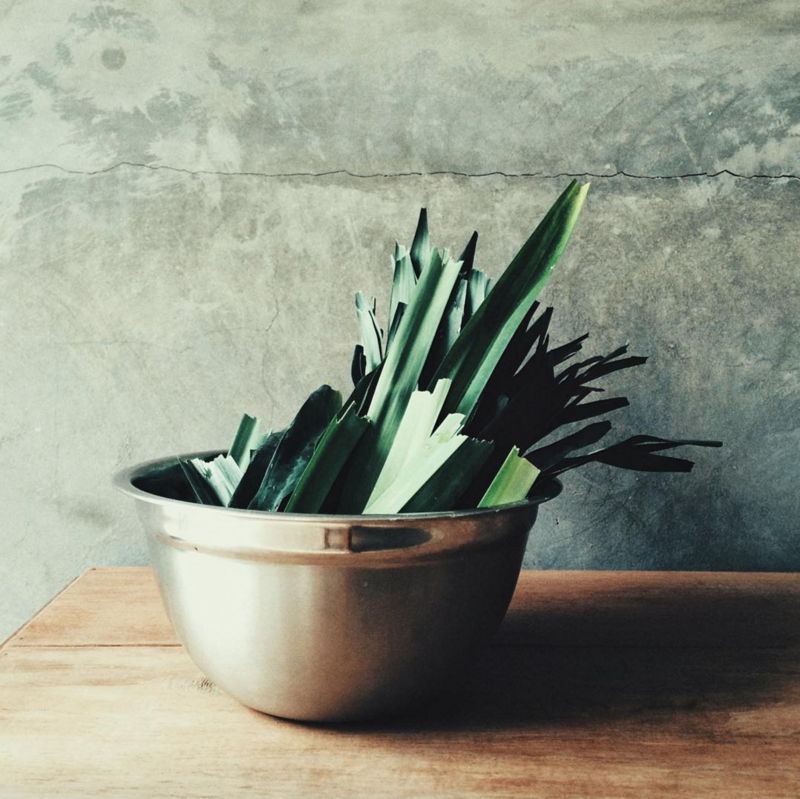 Pandan is an aromatic plant that we, Southeast Asian people love to use in all many of our dishes. You can easily find the taste of Pandan in Indonesian, Indian, Singaporean, Malaysian, Thailand savoury and sweet dishes. The aroma from pandan adds depth that opens up the appetite for those who smell it. Pandan leaves are often times crushed lightly and added to cook together with other ingredients. Drawing the aroma of Pandan as the dish cooks and removing the leaves after that. Many times, the color and flavor of Pandan leaves are also extracted by industries to give cheaper alternative to people to add Pandan color and flavor to cakes. However, no matter how much the synthetic pandan extract imitates the original color and smell of Pandan, it is still not comparable and more enjoyable to extract the Pandan smell and color from the plant itself! At Blueboots Farm, we harvest fresh Pandan leaves to order and dry it at low temperatures so as to retain the fresh green color and aroma. We then milled it into powder and packaged it in air-tight bags for safe storage. Pandan powder is slowly gaining its popularity in the baking sector. It adds natural green coloring and unique fresh pandan aroma, which sometimes is compared to vanilla, that cannot compare to industry pandan extract. Pandan powder can be used numerously in baking muffins, chiffon cakes, cookies, bread, pancakes, macarons and many other recipe to your heart’s desire. It also has a long shelf-life due to the very low moisture content safe for storage. 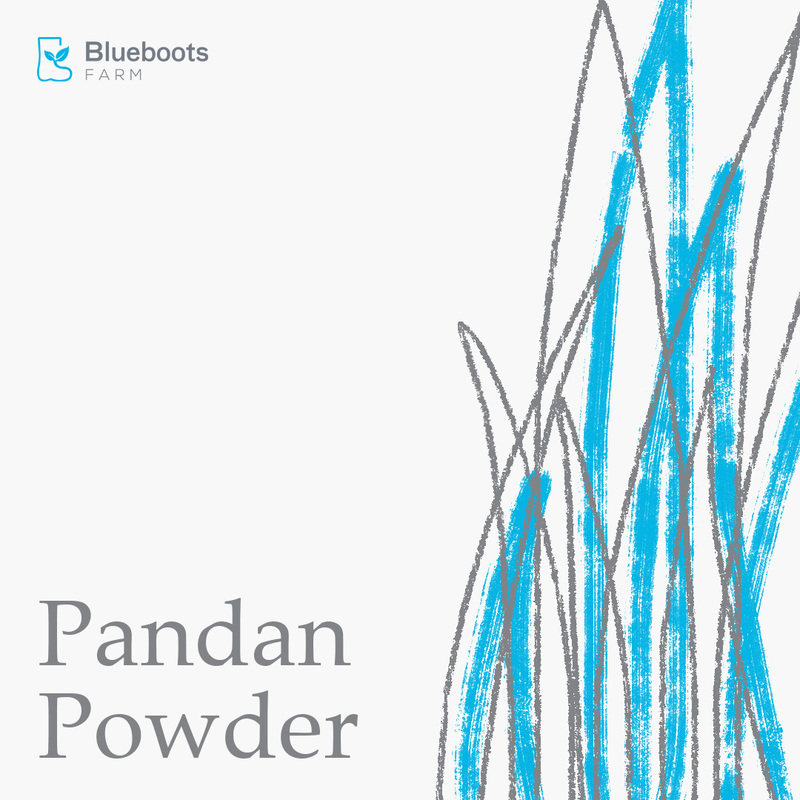 Another Blueboots favourite thing to do with the Pandan Powder is to steep the powder in hot water to make Pandan Tea. It never fails to sooth and calm our tired body from a long day at the farm. You can also add ice to make your very own Pandan Ice Tea! Many ideas and creativity are still to be explored for Pandan Powder. We will share one recipe soon and feel free to share yours too! In order to understand the reasons why we plant the plants at Blueboots Farm, we first need to survey the characteristics and environment factors at the location. 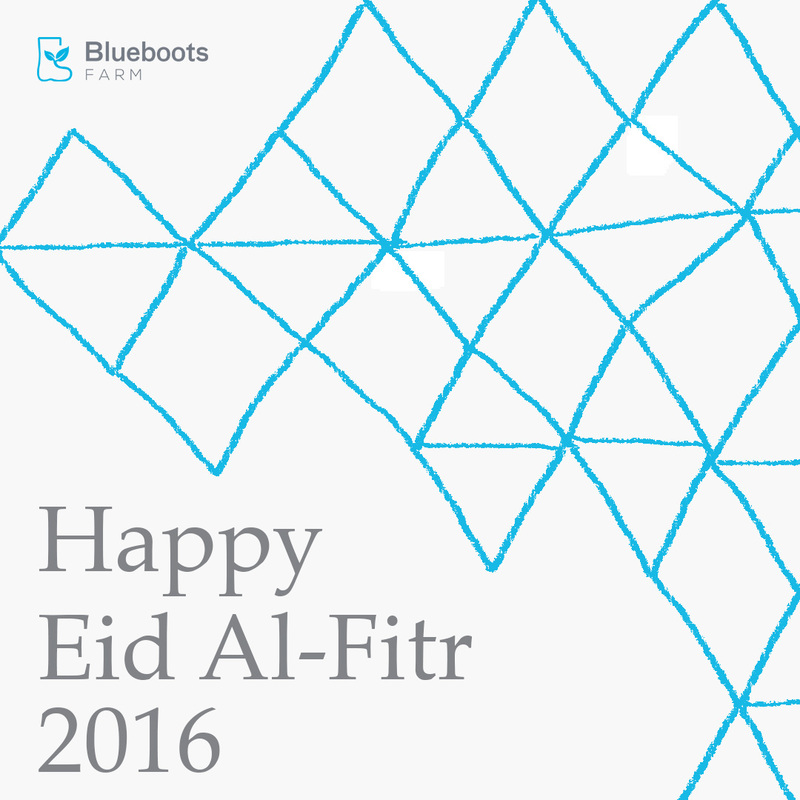 Blueboots Farm is located in the heart of Cijeruk, next to the alternative road leading to Sukabumi. Elevation at 450m above sea level and the soil is examined to be latasol. Latasol soil is soil that is rich in iron, alumina, and silica and formed tropical woodland with great humidity and high temperatures. These information alone can give us some ideas of what can grow well at Blueboots Farm. Mainly, the crops that grow well are sun-loving crops that can withstand high rainfall. At Blueboots Farm, we always strive to work with nature, thus growing crops that is easily supported by the environment without much human intervention. This too will save us lots of labor and infrastructure cost! Since our first pilot plants of 30 Genovese Basil, we have since then experiment with planting about 25 varieties of crops. 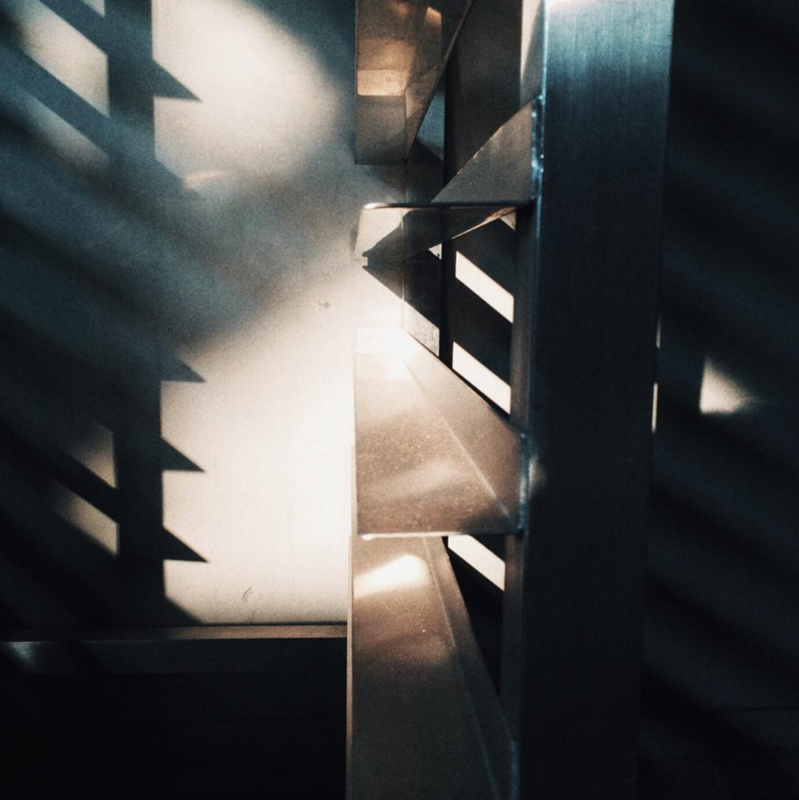 It is by trial and error that is the sure way to know what grow best at Blueboots Farm. Also, a good tip is to ask locals around about what is good be grown in the area, they’ve been there done that! It takes time and patience to learn the surrounding we are placed in. It also takes killing many plants to know that it cannot grow well at where we are. It always amazes our team how well a certain crop grow if it our place is well-suited for its growing condition. With little effort, the plant flourishes to fat and happy plants. At Blueboots Farm, we have just harvested some beautiful radish. 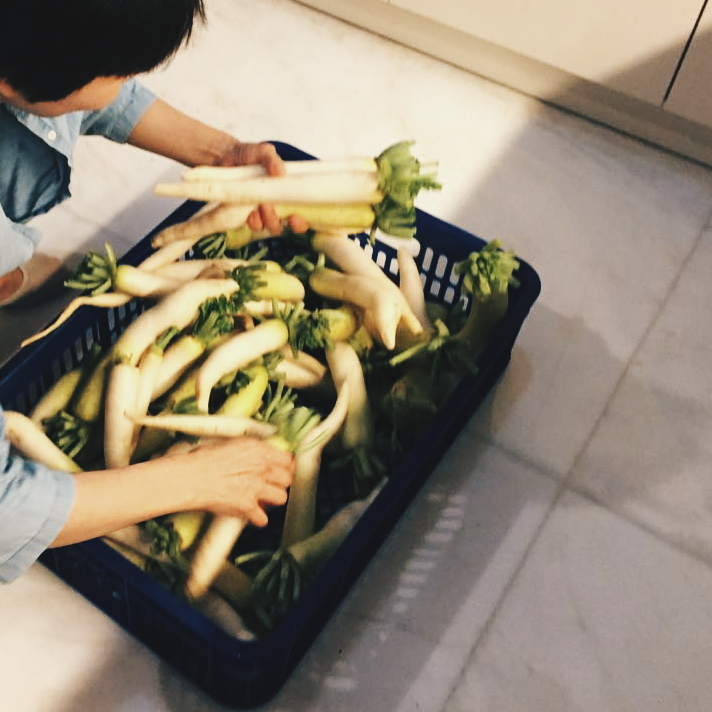 We handed some of them over to our Korean friends and they turned them into these tasty kimchi daikon radish. 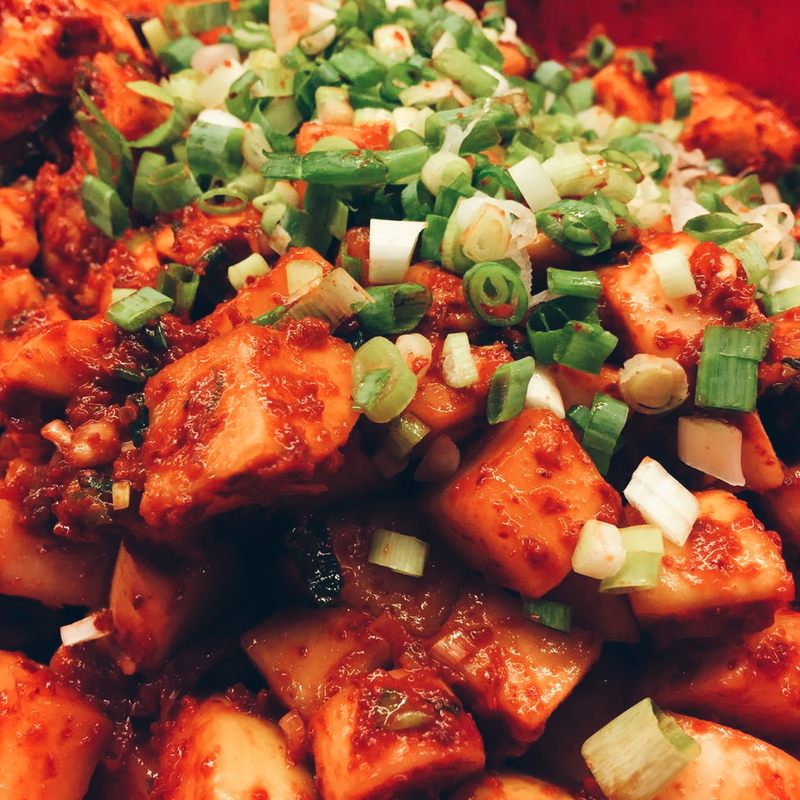 We would love to share this authentic Korean recipe for you to try at home! Diced the daikon radish into cubes and soak it in water with sea salt for about 1 hour. While soaking the daikon radish, we can start chopping the condiments and preparing the sauce. Minced the garlic, apple/pear/pineapple and ginger to fine pastes. Chopped the onions and green onions. In a bowl, mix the hot pepper flakes, garlic, shrimp sauce, fish sauce, apple/pear/pineapple and ginger. Add to taste. After about an hour, rinse the daikon radish with cold water for about 2 to 3 times and drip the water out of the radish. In a large bowl, mix the rinsed daikon radish with the sauce and green onions and onions. Add toasted sesame if desired. After mixing it well together, place the mix into a glass or stainless steel container for storage. You can start eating the radish kimchi before storing it in the fridge or keeping it in the fridge until needed. Ideally, planting food organically is strongly believed and recommended for safe and nutritious food. However, in this age and time, idealism in farming becomes further away and getting harder to reach. 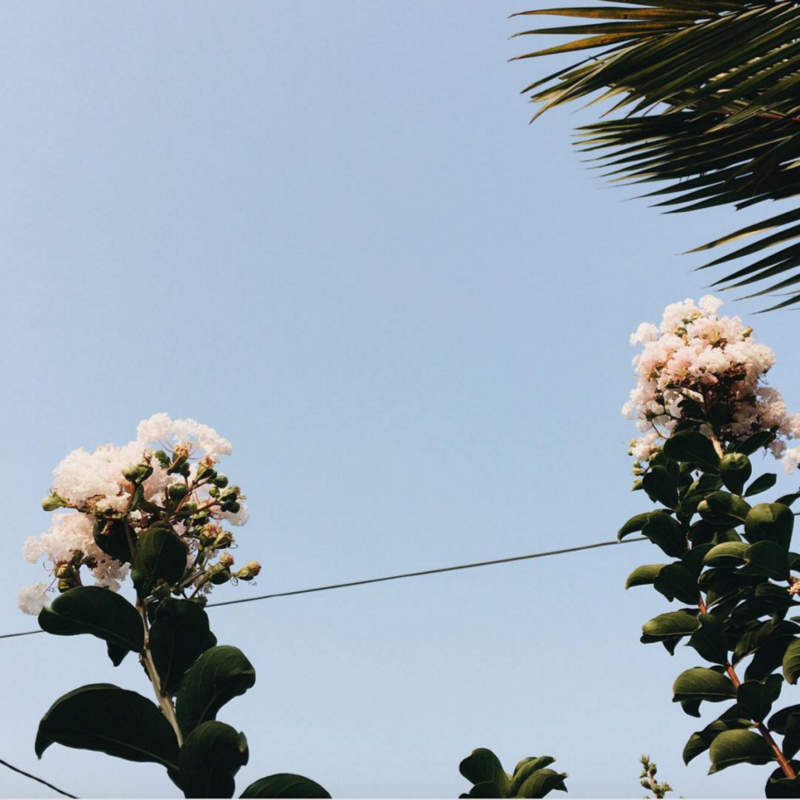 In this post, I will share why is it so hard to plant organically or sustainably in Indonesia? Why is the young generation leaving the agriculture sector? Organic farming requires more attention and details to each plant, as we do not use pesticides and depend on the synergy of every living creatures in nature. Therefore, farmers need vast experience and passion to tend to the plants. However, you can count with your 2 hands the number of farmers that have experiences and passion for plants in this time. Also, ideally we need to integrate the use of machines and technology to farming so as to eliminate labor intensity and help us save time. Something that is not too easy to do in Indonesia especially when everything needs to be imported and custom-made, which demands a large amount of capital and time. When planting in an open-field, pests are often we, farmers are most concerned about. At Blueboots Farm, we make natural pesticide from smelly plants that help us deter unwanted insects that eat and destroy our plants. However, natural pesticide has to be applied to the plants 3 times more that conventional pesticide as it is easily wear off by rain. Therefore, this increases labor cost. And seeing by experience, the pests are getting stronger and more immune to natural pesticide and continue destroying a substantial amount of the crops. Therefore, the harvest they get is much lesser than the effort, energy, money and time to the field. Food ingredients in traditional market and supermarket mainly come from big scale and conventional farming. For example, planting 100 Ha of one kind of crop such as pineapple with the use of ready-made fertilizers and pesticide that is easy to apply and gives effective results. This let conventional farmer grow big and sweet pineapple but with much lesser nutrition value. This gives them a massive amount of pineapple that can be sold for a cheaper price due to big quantity. However, people buy pineapple for the freshness and sweetness in their tongue rather than eating for sufficient daily nutrient intake. Satisfying the tongue rather than our body. Organic food can costs up to 10 times more the price of conventional food due to the above reasons. Therefore, if not well informed it make sense to buy the cheaper price pineapple. This often times lead to organic farmers selling their produce way cheaper than they should to be competitive and in the end not getting any profit in return. All in all, this is why I understand when organic farmers do not let their children follow their footsteps and this is why I also understand organic produces are for the people who can afford. However, these obstacles Blueboots faces do not extinguish our passion and vision to break the system and find an effective solution that can help elevate Indonesia’s agriculture. Continue supporting local and organic farmers! 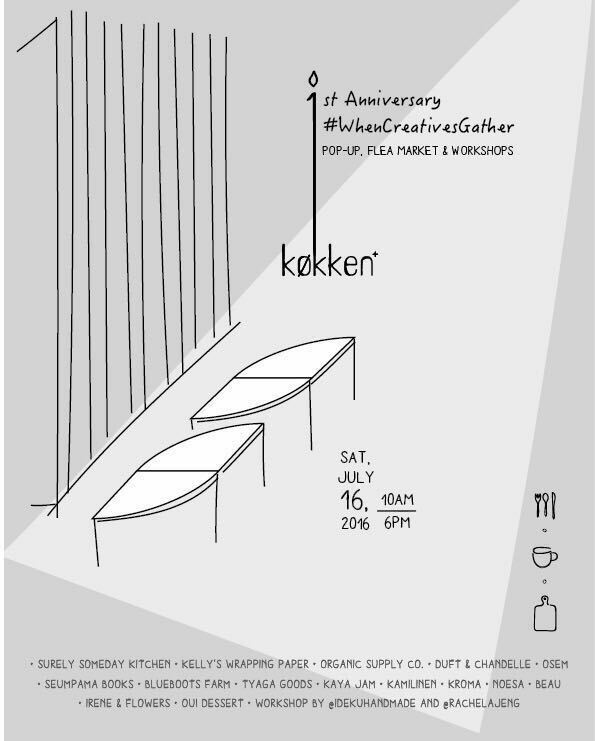 Tomorrow we will gather with fellow creatives at Kokken’s 1st anniversary. There will be pop up stalls, flea market and workshops held tomorrow so make sure you come early to get the best out of the event! 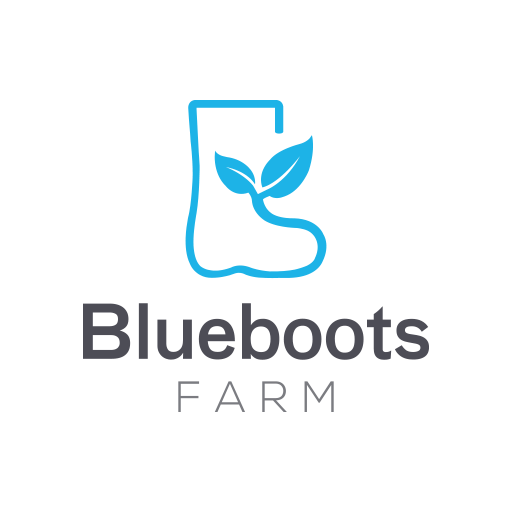 Blueboots Farm will be bringing our seasonal products to the event which we love to share with you. Remember when we introduced you to Indonesian traditional use of cassava? Currently we are in our 14th days of fermenting the cassavas from the farm to turn it into beautiful and soft Tapai Singkong at this weekend’s event. 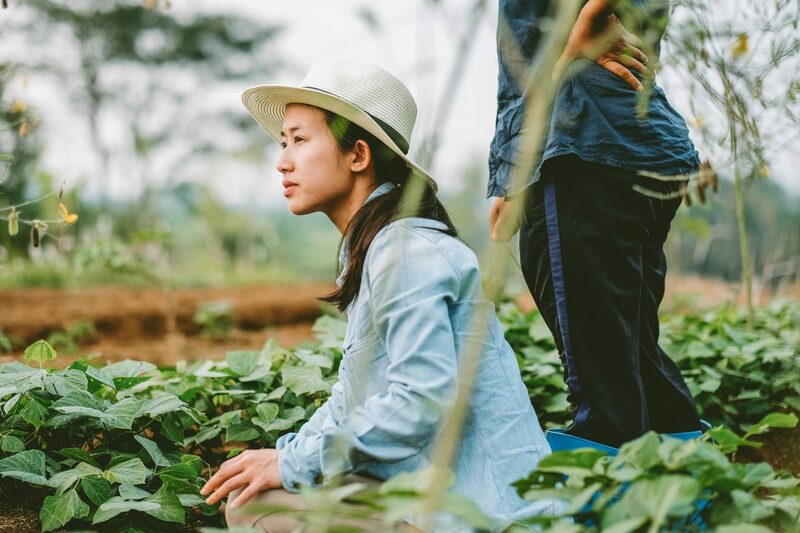 This Tapai Singkong will be a part of our Seasonal Product collection, which will be released by Blueboots Farm according to whatever produce we harvest! Who doesn’t know cassava? Every parts from its roots to its leaves can be processed into various food, which make it very popular in Indonesian dishes and snack. The root has a delicate flavour and can be turned into flour that can be used in cookies, cakes or bread. Cassava is the third largest source of food carbohydrates in the tropics, after rice and maize.. Indonesia is the third largest producer of cassava, hence it is widely used in the local market as well. For Indonesians, cassava is commonly used as a main source of carbohydrate to replace rice. Cassava can be turned into tiwul, which is made from dried cassava called gaplek. This was especially important during Japanese colonization in Indonesia when Indonesians mainly eat tiwul as the main source of energy. 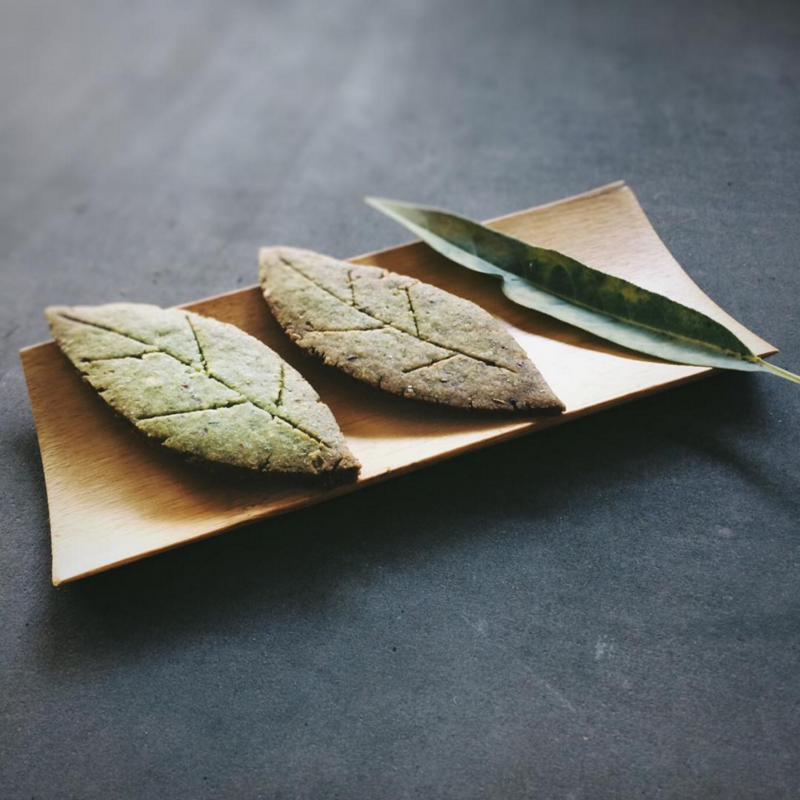 The leaves of cassava is rather popular in Padang cuisine, to simply be blanched and served with sambal or turned into curried cassava leaves. Every Padang restaurant will have these dishes if you want to try. If you ever go to the traditional market and see food vendor selling traditional sweets, you might came across sawut. This traditional sweet food is made from grating cassava, combining it with palm sugar and steaming it to achieve the final result. Usually it is served with grated coconut to balance the flavour. Another popular sweet food would probably be getuk, which most of you might know already. Getuk is rather popular in Java as a sweet snack. Its soft texture is created by mashing boiled cassava roots into a doughy batter. Apart from that, a unique food that can be produced with cassava would be tapai or peuyeum in Sundanese language. Tapai is a kind of fermented cassava, which usually is used an ingredients for sweet dessert and alcoholic beverage. Who would have thought that such a humble root vegetable plays a very important part in Indonesian society. 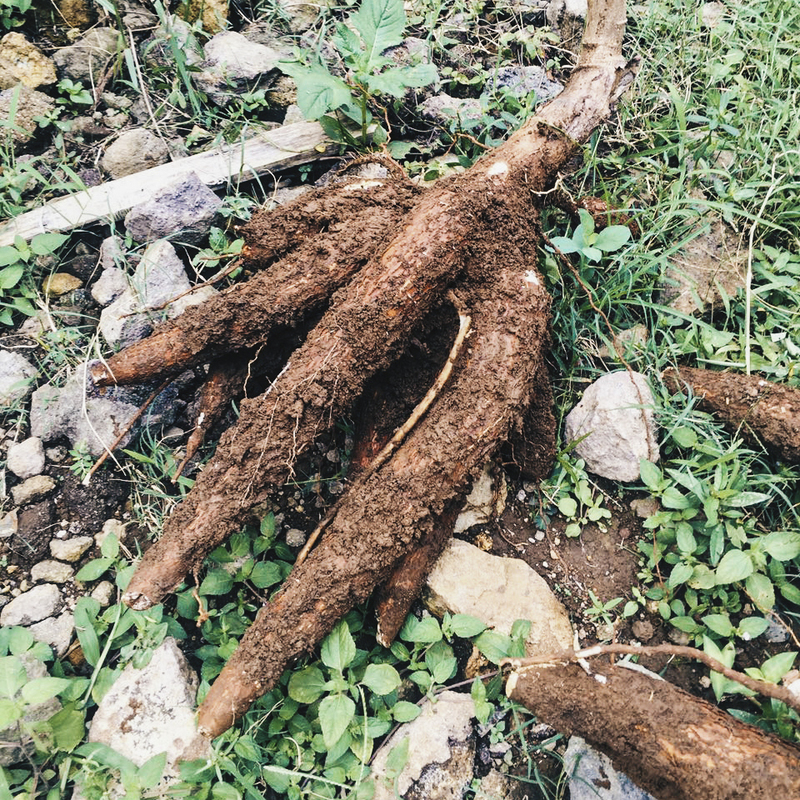 Cassava itself is rather easy to grow and we have some at Blueboots Farm, which our farmers turn into yummy fried cassava when we harvest them. Butternut pumpkin, which is known in some places as butternut squash, can be utilized in so many ways from roasting to incorporating it into sweet dishes like muffins. Technically, it is a fruit, but because of its versatility and wide range of usage, butternut pumpkin is very popular as an ingredient for cooking. On top of that, this type of pumpkin is not a very fussy plant to grow either. 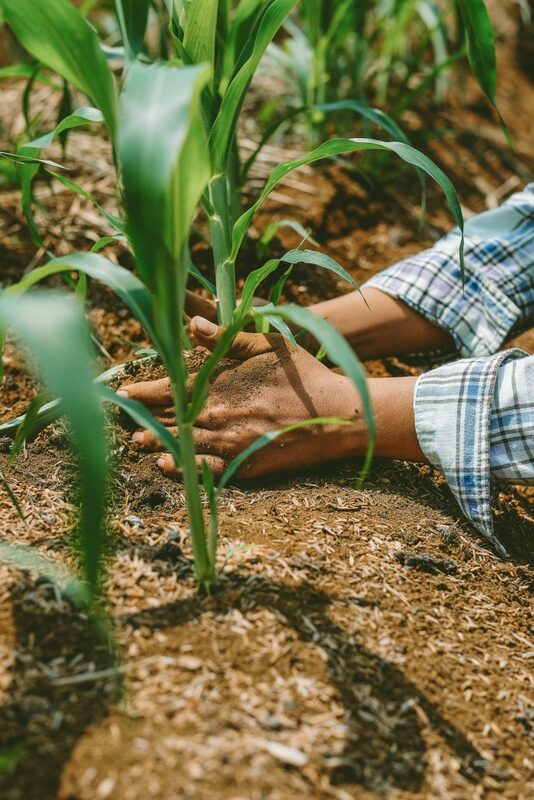 They like to have their soil kept damp, which is not much of a problem during the rainy season, but definitely we need to keep an eye on them when we are growing them in summer time. At the farm, we built a strong trellis for the vine to grow over. This way, we save space and it’s easier for us to keep track of their growth because sometimes it can be tricky to see what’s underneath those massive leaves! Butternut pumpkin is a great source of fiber and complex carbohydrates and also high in potassium, niacin, beta carotene and iron. They will fully grow in 110-120 days until they are ready to be harvested. In the meantime, we are watching them closely to make sure that the pollination process between the male and female flowers are happening naturally. Otherwise, we might have to do manual pollination, which should have been the task of those bees at the farm. 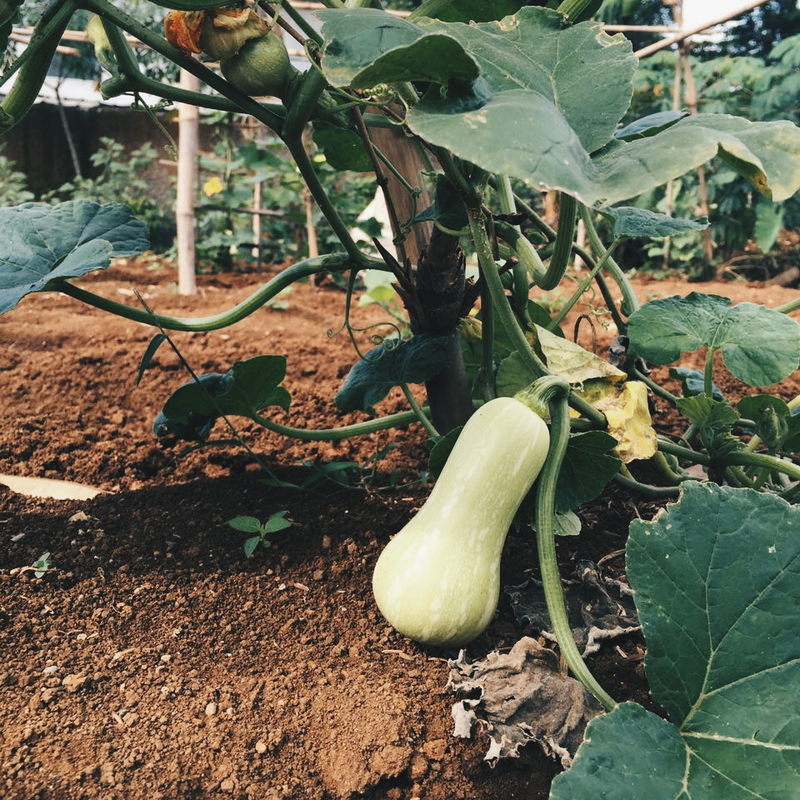 Stay tune for more updates about Blueboots Farm’s butternut pumpkin and hopefully we will be producing some fat and healthy pumpkin! Happy Eid to all of our friends. Time to gather with the loved ones! http://blueboots.farm/wp-content/uploads/2016/08/Jul_6.jpg 1080 1080 bbfarm http://blueboots.farm/wp-content/uploads/2016/08/cropped-Untitled-3.png bbfarm2016-07-06 12:00:492016-08-26 03:44:34Happy Eid!